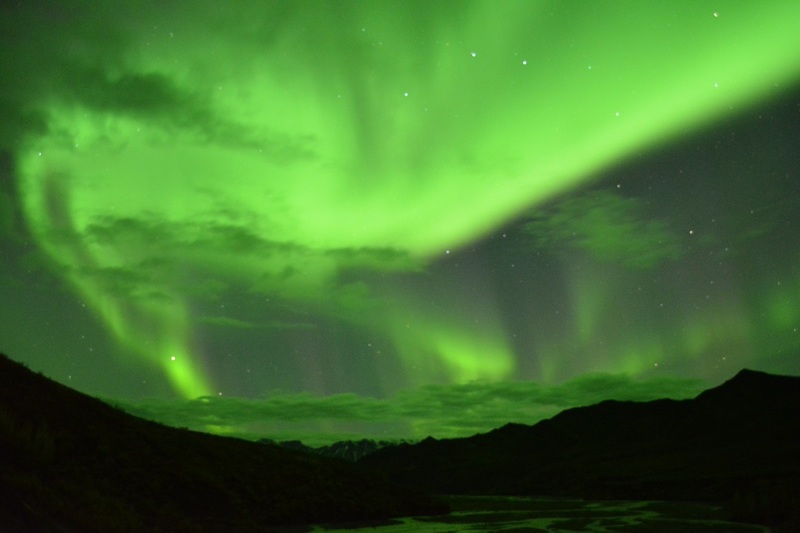 The aurora borealis is one of the most amazing natural wonders on earth. 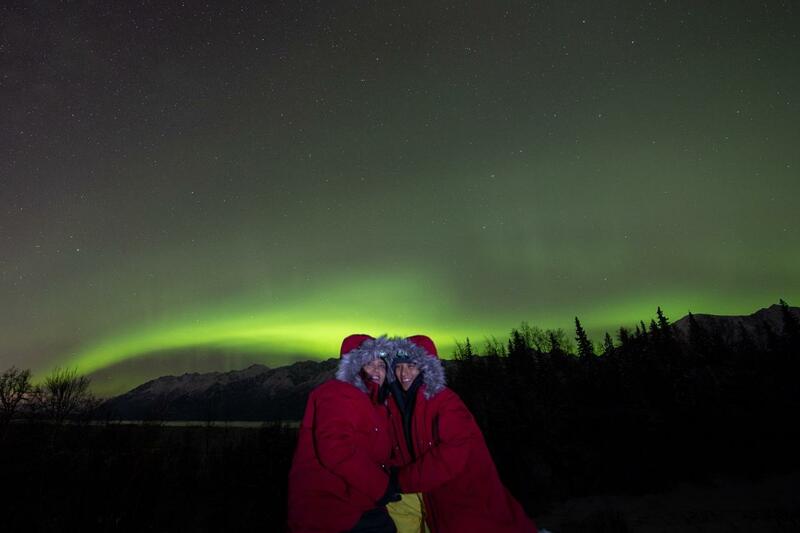 Join us on a quest to view and photograph the northern lights in and around the Anchorage area. We will use our comfortable tour vehicle as a base camp as well as a state of the art portable winter shelter complete with heater, camp stools, hot drinks and snacks. We use modern technology to forecast both the space and earth weather each night. The tour only operates on nights that have a reasonable expectation for the lights to be visible. 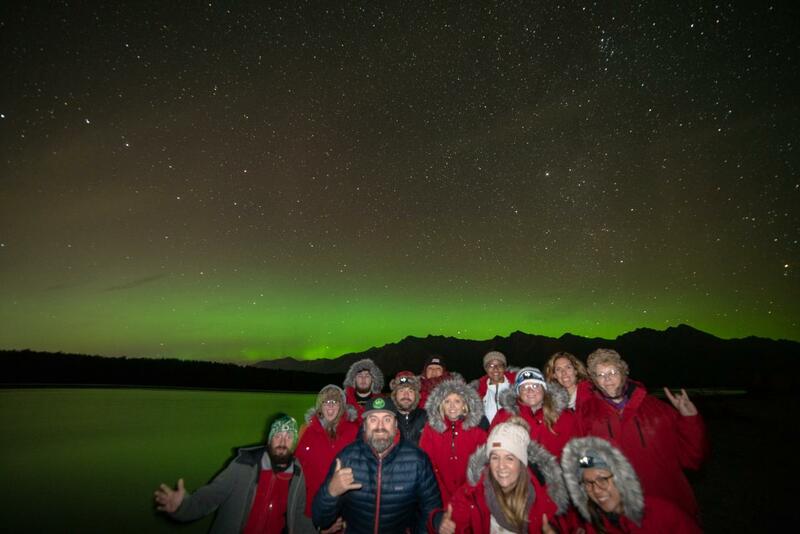 We have approximately a 90% success rate of the northern lights when we do operate a tour. This tour is designed for anyone who has viewing the northern lights on their bucket list including both sightseers and serious photographers. Aurora photography instruction as well as Aurora portraits are provided. No need to worry about capturing the lights on your cell phone camera. We take high quality pictures for you included in the price! Tours generally depart between 9-11 pm and return between 3-4 am depending on the season and conditions. Please note: This tour is designed for guests 12 years and older. 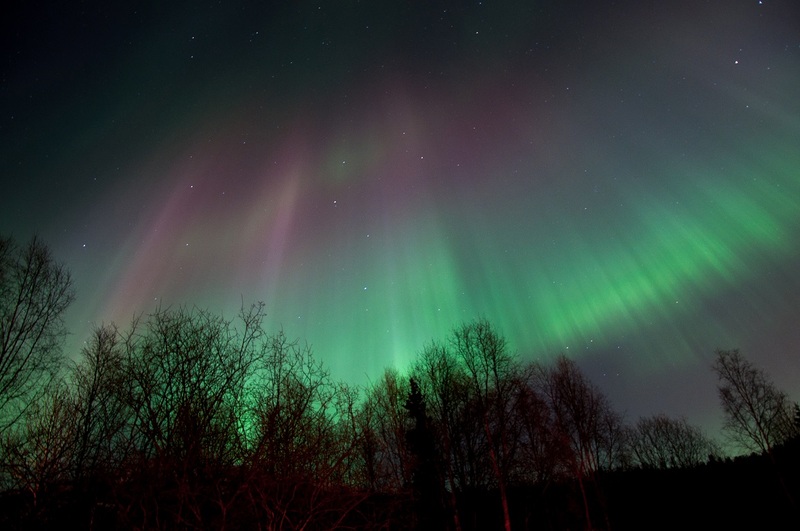 If you have small children and wish to view the northern lights with us, please book our Anchorage Private Aurora Tour. *Please note pick up is available at hotel locations in Anchorage only. No pick ups available at private residences (ie Airbnb or VRBO) or at Alyeska Resort. These locations will depart from the nearest hotel to your accommodation or at our office downtown. No exceptions. ** Because of the unpredictable nature of space and earth weather, we recommend that you book for the very first night you have available and list all other nights you have available on the booking form. We will confirm if the tour is operating or cancelled by 6 PM on the day of your scheduled departure time. If your tour is cancelled you will automatically be booked for the next night you have listed. If your tour is cancelled for all nights you have listed you will receive a refund for the full amount of your tour minus a $5 per person booking/forecasting fee.